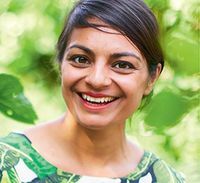 Food writer, blogger and author of the best-selling cookbooks Made in India and Fresh India, Meera Sodha is well-known for her vibrant, fresh and simple Indian dishes. 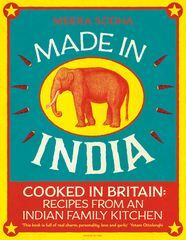 Packed with flavour, well explained and accessible, her recipes will change the way you cook, eat, and think about Indian food forever. 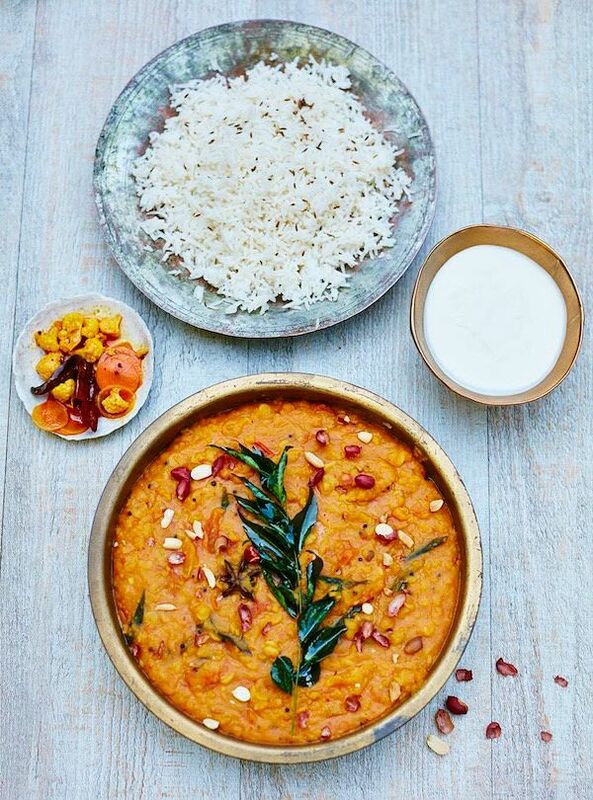 Here's a round up of our favourite Meera Sodha curry recipes for all occasions. 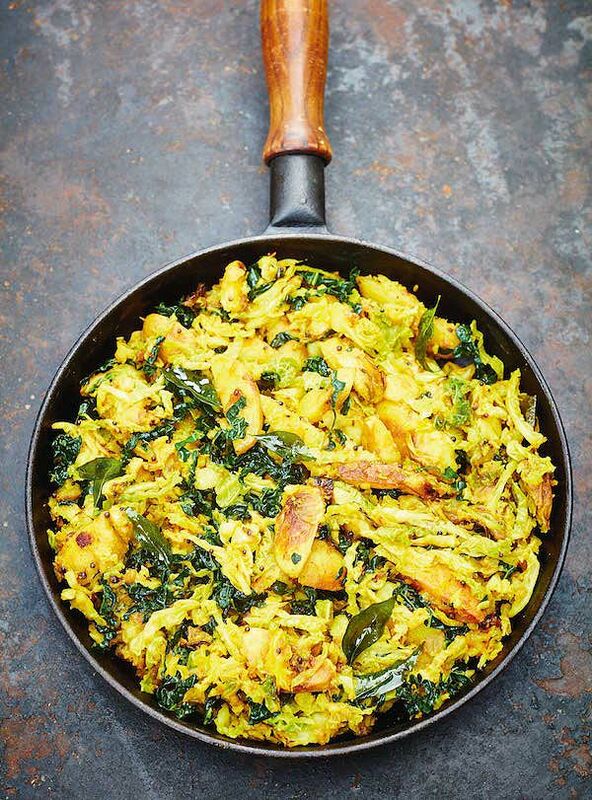 Soft buttery cabbage, sweet caramelised onions and crisp potatoes, nothing much beats this comforting veggie curry recipe from Meera's Fresh India cookbook. 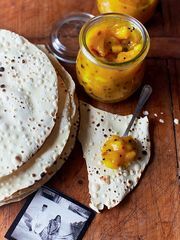 Serve up with a fierce pickle, yoghurt and chapattis. Delicious. 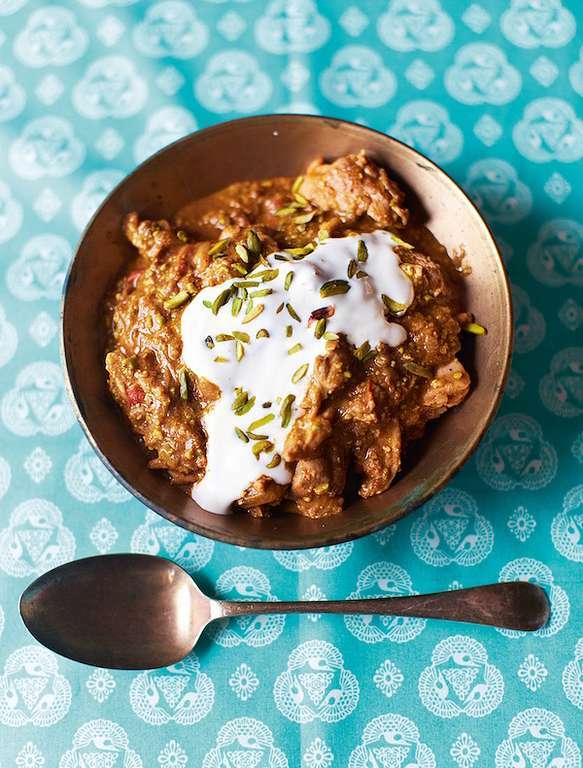 Ground pistachios complement the sweet onions perfectly in this Pistachio & Yoghurt Chicken Curry from Made in India. A classically Indian dinner party dish with a beautiful, rich, creamy sauce you won't be able to stop eating. 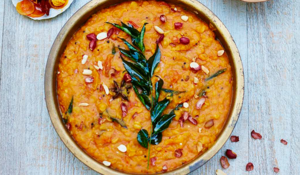 This Gujarati Dal from Fresh India is a special twist on a frugal staple, with peanuts, star anise, curry leaves and honey. 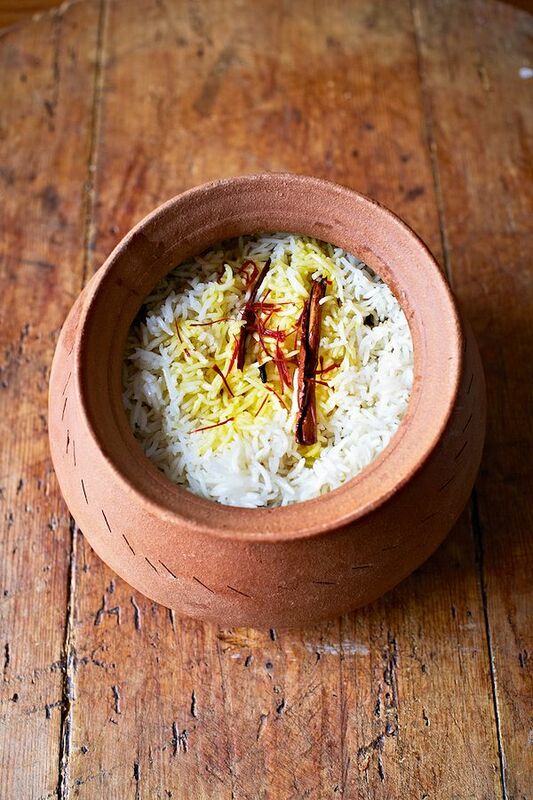 Because everybody needs an authentic lamb biryani curry recipe up their sleeve (which Meera says is no more complicated than making a lasagne), this recipe from her Made in India cookbook is the real deal. 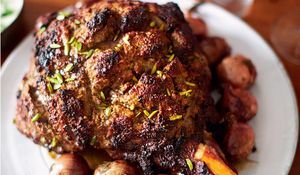 A layered dish combining a rich and tender clove and cinnamon lamb curry, sweet caramelised onions and saffron-scented rice, this is a crowd-pleasing dish to make at the weekend. 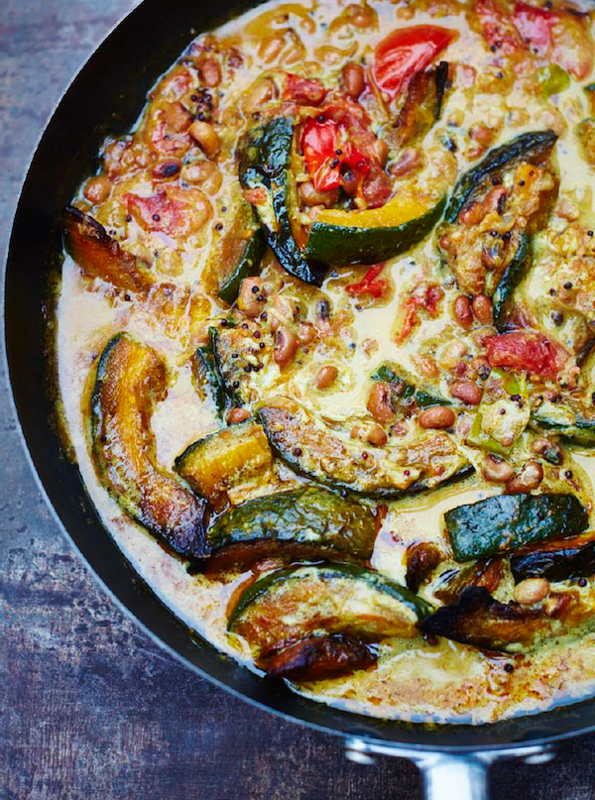 Sweet pumpkin, earthy beans and creamy coconut come together in this gentle veggie curry recipe from Fresh India. Perfect for when pumpkins and squash are in season. 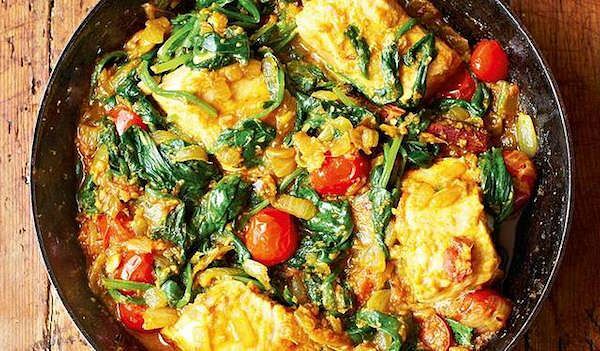 Packed with warming spices, this light and simple Salmon & Spinach Fish Curry from Meera's brilliant Made in India cookbook is a quick midweek meal for kids and adults alike. 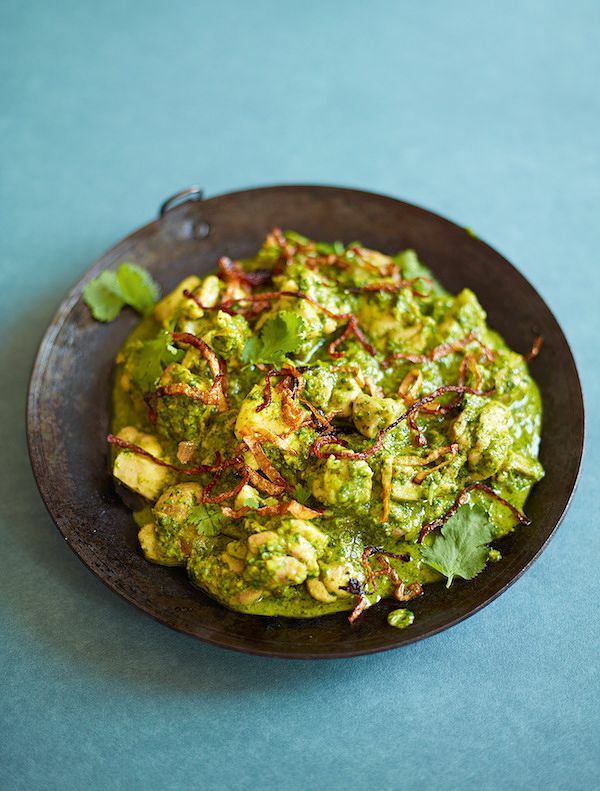 This vibrant and delicious Coriander Chutney Chicken from Meera's Made in India cookbook is quick and simple to make. Think of the chutney as you would a fresh pesto, made by blitzing together fresh coriander, peanuts, lemon juice, chillies and turmeric. Make extra and keep a jar in the fridge to eat with samosas, on bread or with cheese. 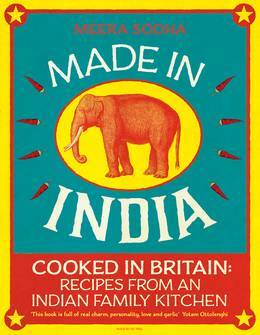 A fresh and accessible guide to making delicious authentic home-cooked Indian food. 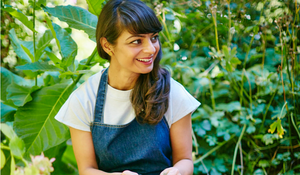 Chef and food writer Meera Sodha is a best-selling cookbook author, showing readers how vibrant and exciting Indian cooking can be. 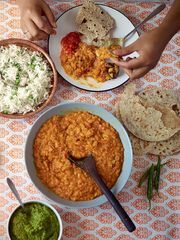 Spice up your next dinner party with Meera Sodha's Indian Feasting Menu. This menu is bound to wow guests, and with elements that can be made in advance, won't leave you feeling rushed off your feet. 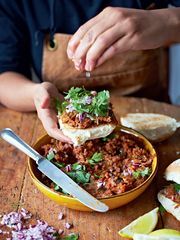 These easy vegan Indian recipes from Meera Sodha will show you how to embrace vegetables, pulses and earthy spices to create outstanding, flavoursome meat- and dairy-free dishes.